SALINAS, Ca -- Simon Pagenaud and Gil de Ferran closed out the American Le Mans (ALMS) Series season with a sensational, near wire-to-wire victory in their Acura ARX-02a, at the Mazda Laguna Seca Raceway. 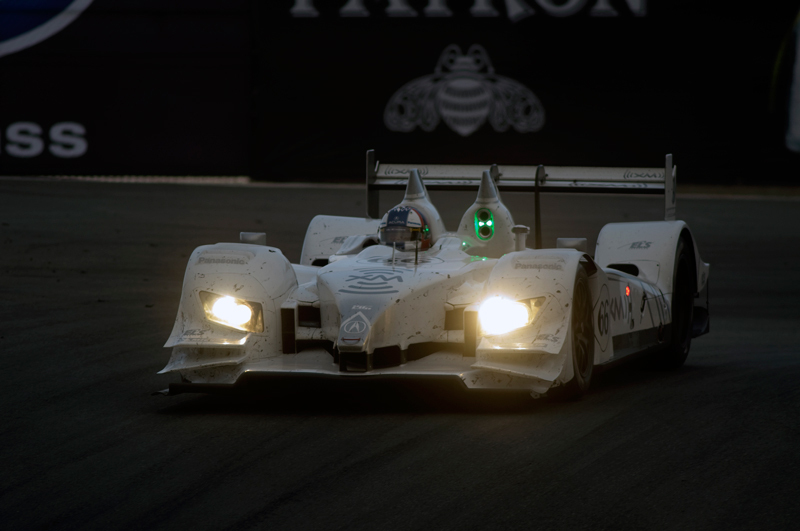 The Pagenaud-deFerran team led the entire race with the exception of three laps and beat the second place overall and LMP2 winning Lowes Fernandez Acura. It was the last race for de Ferran, who has announced his retirement to focus time on developing his race team. In GT2 it was a race to the finish between the No. 3 Corvette of Johnny O'Connell and Jan Magnussen and the Jorg Bergmeister-Pat Long Porsche 911. On the last Jan Magnussen got under Bergmeister in the last turn, and out dragged him to the finish line-- but Bergmiester laid a little NASCAR bump and run on the Vette and Magnussen went hard into the wall on the right side of the track as the Porsche took the checkers and the Vette was second in class. Man that sounds like an exciting last half lap! Jorg pushed the vette into the wall! Shades of Buddy Baker and Junior Johnson.